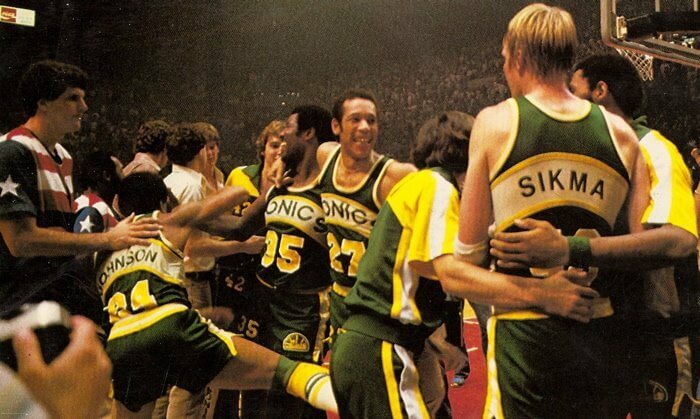 The 1979 NBA World Championship Series at the conclusion of the 1978 – 1979 season were won by the Seattle SuperSonics defeating the Washington Bullets 4 games to 1. The series was a rematch of the 1978 NBA Finals which the Washington Bullets had won 4-3. Due to a better regular season record, the Bullets had home court advantage.